Thanks to the advertising dollars allocated by some of the big name nutritional companies, you may already be aware that the nutrients you consume after a hard workout or a race play a dynamic part in your recovery. But, did you know that the timing of your post workout meal and the windows in which consume those nutrients is almost as important as the nutrients consumed? There are two optimal windows of recovery following a hard workout that play crucial roles in helping your body recover as quickly as possible. Increasing your rate of recovery by focusing on the timing of your post workout nutrient intake decreases muscle soreness and increases your ability to push harder and run faster during your next workout. In this article, we’ll outline exactly when these two windows of optimal nutrient intake occur and provide you with easy nutritional options to help you get the most out of each and every hard workout. Many scientific studies have confirmed that the first window of recovery begins within 30 minutes following prolonged exercise. I use the term “prolonged” exercise loosely and don’t give a specific duration because it will be different for each person. If you are a well-trained runner, prolonged exercise will be an hour or more. If you are training for your first half marathon, and you have never run over a 5K, anything over 45 minutes is prolonged exercise to your body. The best nutrients to consume during the 30 minute window immediately following prolonged exercise is a mix of carbohydrates and protein. You should aim to consume 100-300 calories. The ratio of carbohydrates to protein should be 3:1 or 4:1 (carbohydrates:protein). This combination of carbohydrates to protein helps the body re-synthesis muscle glycogen more efficiently than carbohydrates alone. The consumption of too much protein in this process will inhibit your body’s absorption of the carbohydrates by slowing the gastric emptying rate. However, a little bit of protein helps produce muscle building amino acids and hormones. Proper nutrition during the first 30 minute window immediately following exercise is your first step to having a better run tomorrow. First, try a post workout recovery drink with the correct ratio of 3:1 or 4:1 carbohydrate to protein. Getting nutrition in the form of liquid can often be easier on sensitive stomachs. Second, do the best you can to take advantage of the entire 30 minute window. You don’t have to eat as soon as you stop running. If you have a sensitive stomach, wait 25 minutes, drink some water, and relax before trying to consume food. Also, you don’t have to eat a huge meal. Getting between 70-100 calories with this nutrient ratio will do the job. The second window for optimal recovery is from one hour to three hours post workout. In this window of recovery, a meal or snack that is higher in protein but also includes a healthy fat and carbohydrate is best. Like the first, immediate window of recovery, the second window does not need to be a high calorie meal or snack. This can consist of 150 calories and up. The goal with eating in these two windows is not to consume more calories than you actually need; rather, the objective is to help give your body the right combination of nutrients at the right time, decrease inflammation, increase muscle glycogen stores, and rebuild damaged muscle tissue. While all runners spend most of their time focusing on their workouts, their splits, and their mileage, recovering from these hard efforts is often more important than the training itself. Running on muscles that are still torn and fatigued, with little to no glycogen stores, is a recipe for injury and over training. Supplying your body with the correct nutrients at the correct times will set you up for success as your train for your next event. 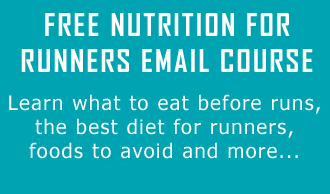 Start nourishing your body within the two windows I have suggested and watch as your runs feel better and your race times get faster! Howarth, K. R., N. A. Moreau, S. M. Phillips, and M. J. Gibala. “Coingestion of Protein with Carbohydrate during Recovery from Endurance Exercise Stimulates Skeletal Muscle Protein Synthesis in Humans.” Journal of Applied Physiology 106.4 (2009): 1394-402. Print. Ivy, John, and Robert Portman. Nutrient Timing: The Future of Sports Nutrition. Laguna Beach, CA: Basic Health Publications, 2004. Print. Levenhagen, Deanna. “Postexercise Nutrient Intake Timing in Humans Is Critical to Recovery of Leg Glucose and Protein Homeostasis.” American Journal of Physiology (2001). Print. Thanks for the article – the idea of a not just one, but two, nutritional windows post-workout was new to me. Couple of questions for you: Which “nutritional window” would you suggest contain a greater number of calories? I am aware that getting calories in as soon as possible following a workout is imperative (ideally, within the first 30 minutes after finishing), but is the second nutritional window necessary, especially if you are taking in 300+ calories within that period? Both work fine. generally, it’s going to be easier to get calories in during the second window. In the first window, your stomach is usually more sensitive and less hungry. What if you run at night? i usually run at night around 7pm because that is when i can find time due to schedule. i do 3 miles in 40 mins. how to i eat during both windows and go to bed around 10pm? Probably not going to be able to. I don’t know how to work around this issue. Maybe eat before bed? Just protein before cot, it keeps your protein amalgamation dynamic and averts muscle breakdown amid night. Thanks for sharing your thoughts Deirdre. We hope you found our points in this post interesting also! I found this article searching for information about why my muscles feel so depleted for days after a long run … and I’m eating too much protein and not nearly enough carbs. Thanks for this great info, you’ve changed my recovery plan.